In William Thomson’s first book, The Book of Tides, he took us a journey around the coast of Britain exploring the sea and the tides of our country. 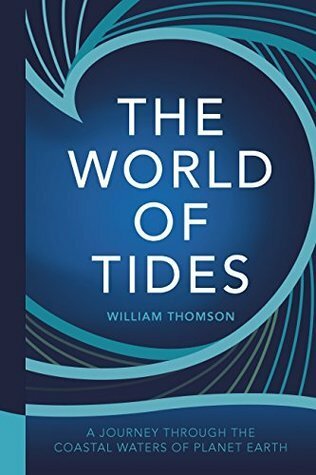 But there is a whole world out there that is covered by ocean and in this book he sets out to introduce us to the most amazing places around the globe and their tides. Ironically he begins in the places where there are no tides. Because of their specific geographical location. These points are called amphidromic and there are a dozen around the world, mostly in the middle of the oceans, apart from one around the coast of New Zealand. From this beginning, we will find the coasts with the greatest tidal ranges in the world, the most impressive and most deadly tidal bores, and the strongest whirlpools. He explains what happens when two oceans meet and what the immense forces can do to the seas at those points. There are chapters on Tsunami’s, rip tides and ocean currents. Once again it is full of excellent infographics that explain clearly the way the part of the ocean that he is describing. It is a beautifully produced book, with the layout that worked so well in the first volume. If there was one flaw, I felt that there was a little too much overlap with his first UK based book, that said though, one. this is a great companion volume to that one. Paul has read 36 books toward his goal of 190 books.